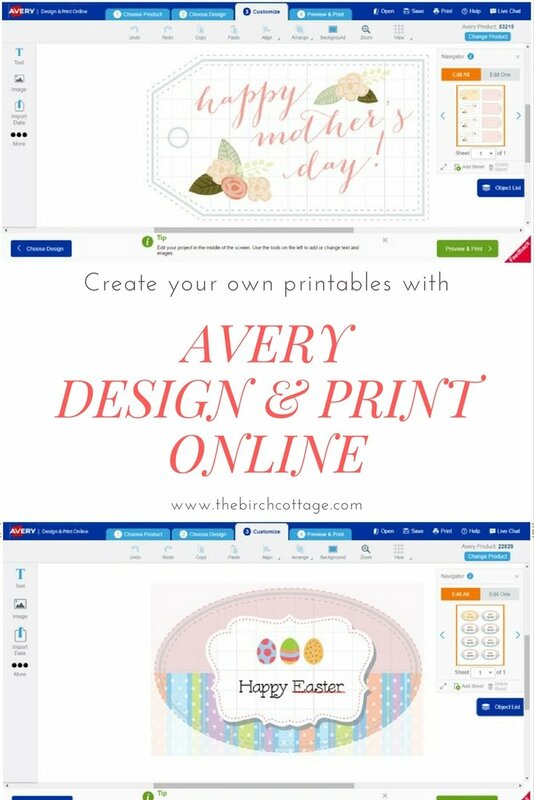 Avery Design & Print Online is an easy way to create printable gift tags, cards and so much more! 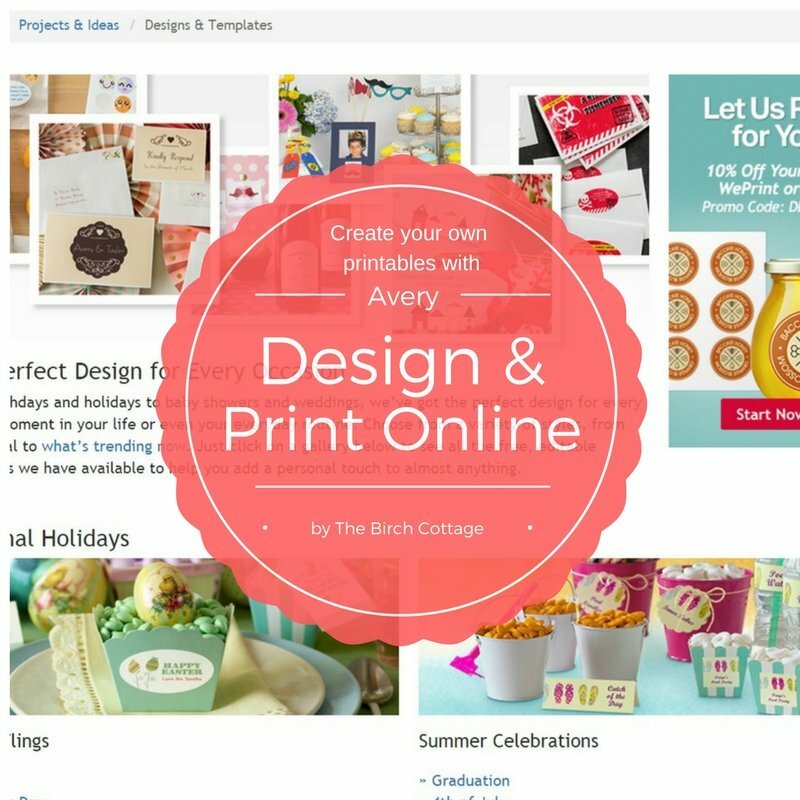 The idea is simple: Purchase Avery printable products and then use their online software to design and print. There are a lot of different ways to create printable gift tags, labels of all sorts, and cards and…. the list goes on. The labels and prints you find here on The Birch Cottage were all made using Photoshop. But, I totally understand that Photoshop isn’t for everyone. It just happens to be the program that I am most comfortable and familiar with as I’ve been using it for about two decades now. There are also online sites like Canva and PicMonkey . But, I’m here to tell you today about an online service that is pretty darn amazing and that I think you will absolutely love. Not only is it amazing, but it’s totally free and super easy to use. What?! Seriously. Amazing. Free. Super Easy. No lie. This post contains affiliate links. If you click on one of these affiliate links and make a purchase, you’ll be supporting this blog (and my family) at absolutely no extra cost to you. You can read my full disclosure here. 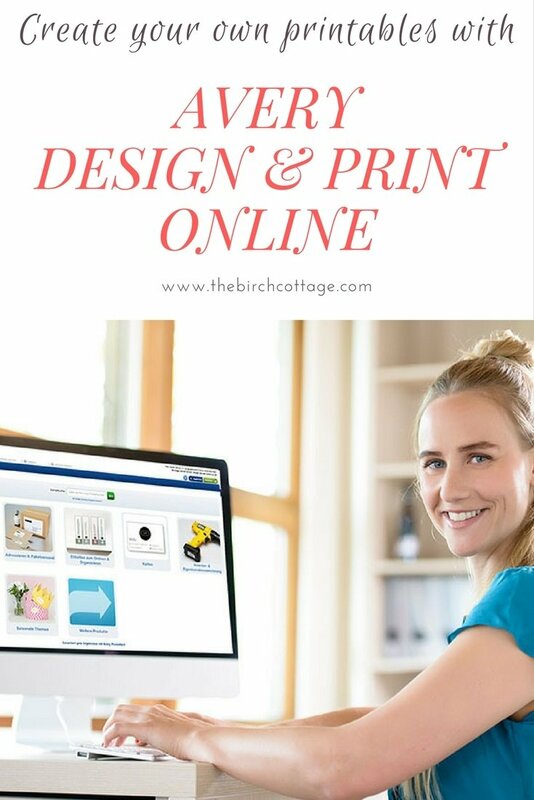 Thanks for supporting The Birch Cottage blog! 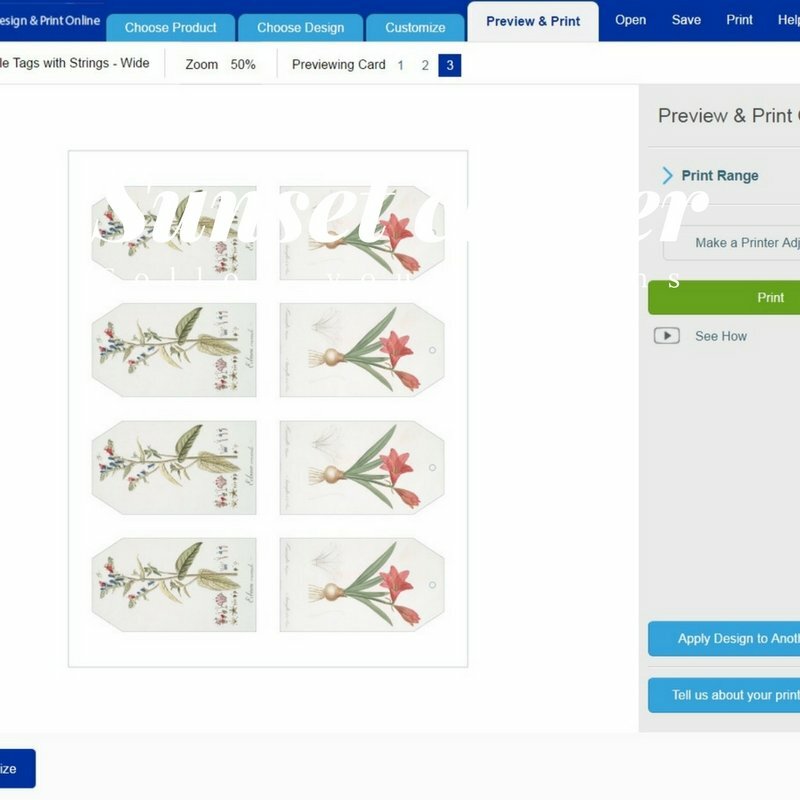 You may be familiar with Avery products like their Easy Peel Return Address Labels, Print-To-The-Edge Round Labels or maybe even their Textured Heavyweight Note Cards or T-shirt Transfers for Inkjet Printers. But, what you may not be familiar with is Avery’s Design & Print Online. All I can say at this moment is, “Wow!” I was truly blown away by all the features and functionality of this online free design and print application. I was left dumbfounded over how easy, intuitive and all the extras that are included. Extras like multiple, many multiples, templates, images, artwork and tons and tons of ideas and inspiration for your next printable project. Avery Design & Print Online, Download and Tablet App! The Avery Design & Print is available in three formats: Online, Downloadable Software for PC or Mac (please be sure to read their website on system requirements), and as a Tablet App. With the Avery Design & Print Online application, you also have the option of printing the project yourself or letting Avery do the work for you. Avery calls this their YouPrint or WePrint print options. I call it pretty cool! With so many designs, templates and project ideas, you can add a personal touch to just about anything and everything! So, what are you waiting for? 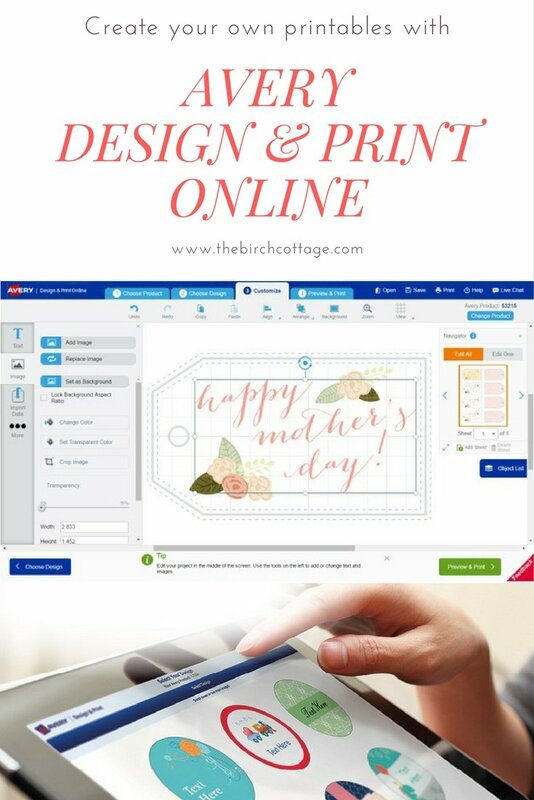 Go check out this super fabulous design and print tool and get your creative mojo flowing! Seriously. Go. Then come back and tell me how fantastic you think Avery’s Design & Print Online app is. I also wanted to clarify that I have not been asked to review this application or compensated in any way. The recommendation and opinion is 100% my own. I’m simply sharing this with you because I think it’s a great resource and tool that will make it super easy for you, my dear reader, to create your very own printables. By the way, I haven’t tried their WePrint option yet. If you use that service, I’d love to hear about your experience. Okay, go….. be creative…. have fun…. Vintage Fruit Tree Illustrations and Cards to Celebrate the Arrival of Spring! Free Printable Vintage Easter Cards Just in Time for Easter!